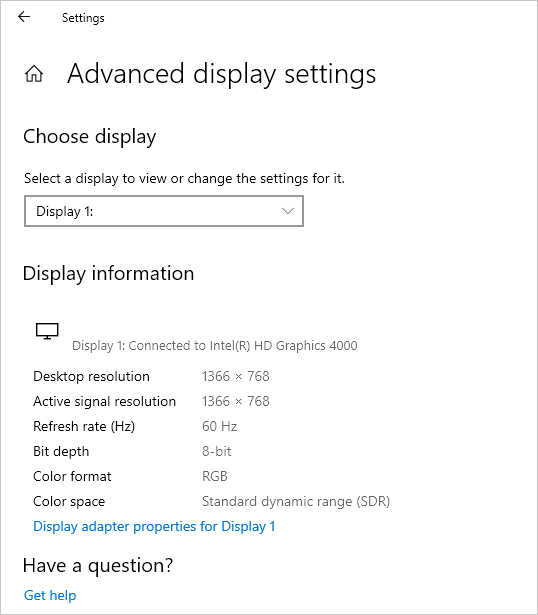 Home » Tech Tips » Windows 10 » How to Customize Windows 10 Display Settings? 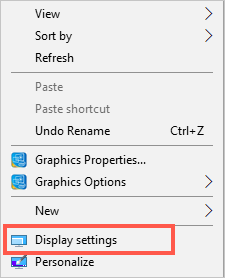 How to Customize Windows 10 Display Settings? When you install Windows 10, it loads with its own default display settings. 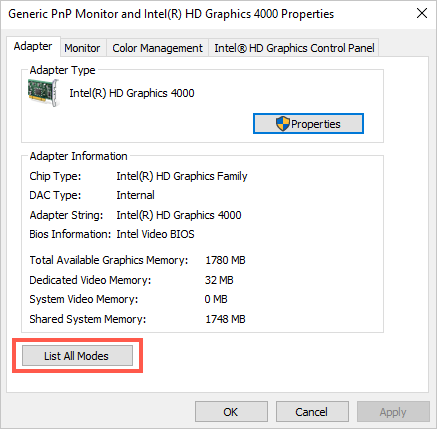 In most cases, these are the optimal settings for your computer for best content display and clear images. However, sometimes Windows 10 will display the text and icons either too big / too small or the display isn’t how you would like it. Especially the display may not be optimal for extended monitors and you probably need to adjust the Windows display settings. Related: Fix blue screen of death in Windows 10. This article teaches you how to modify the text size, change screen resolution, and color among other display settings. Click on the Windows Start button on the lower-bottom edge of your display. Then go to “Settings” (click the gear-like icon) to open the settings app. Alternatively press “Win + I” shortcut keys to open Windows Settings app. To open display settings, click “System” (the first option in the list). 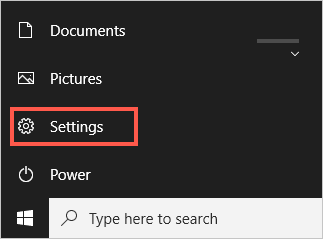 Search for “settings” from Windows Cortana (search box) and choose “Settings” from the search results. 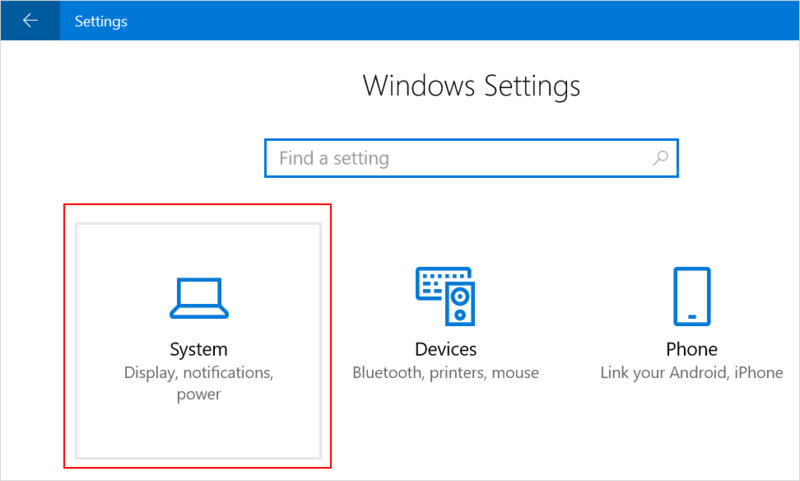 Look for “System” in the “Windows Settings” app wizard and click it to go the display settings. Right-click an empty area on the desktop and click on “Display settings” from the resulting list. All these three options will land you on the “System settings” page. While a brighter screen makes content on your display clearer, too much brightness may be harmful to your eyes and increase power usage. Use the slider below “Change brightness” heading to change the increase and reduce the screen lighting by sliding right or left respectively. 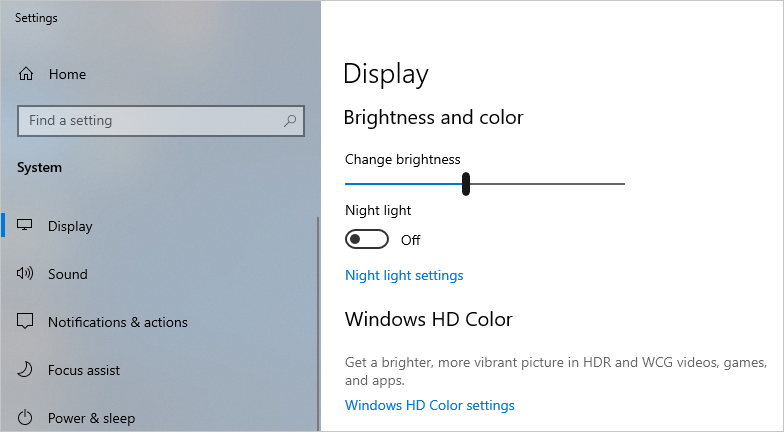 In most of the Windows 10 laptops, you can adjust the brightness with function + up or down arrow keys. This key combination may be different based on the manufacturer of your laptop. If you need a different display color at night, turn on the “Night light” switch on and click “Night light setting for further personalization. 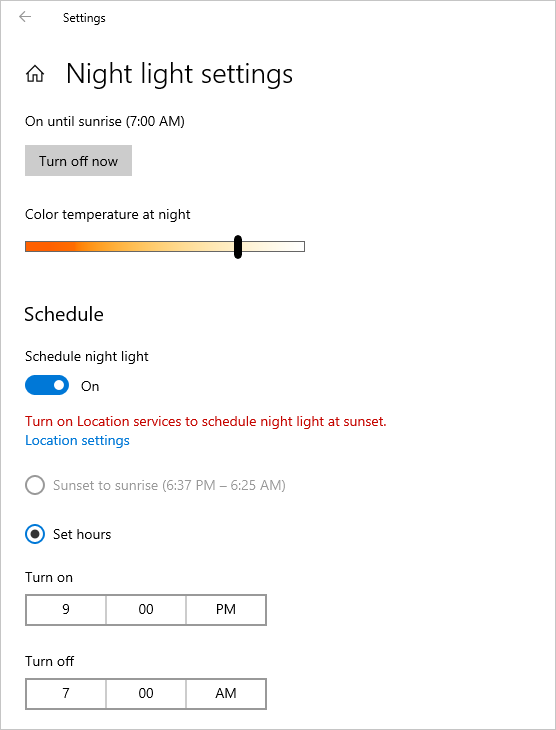 You can change the night color temperature and schedule the “Night light” hours from these settings. Go down the “Display” settings page, on the “Scale and layout”, you will find the option to change the size of text, app icons and other content. 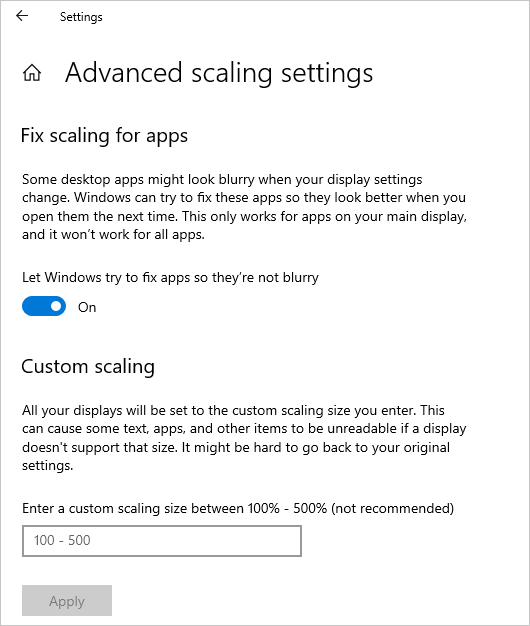 Normally, Windows 10 recommends scaling to 100%, but if you expand the drop-down menu, you can select 125% to increase the size. 100% text size may not properly work especially when you have extended monitor display. You can adjust the text size only on the extended monitor to make it more convenient for you. If you want to scale to a custom size, click the “Advanced scaling”, then enter your preferred size, between 100% and 500% in the text box at the bottom of the window and then click “Apply” to implement the change. Click the arrow below the “Resolution” heading and pick your preferred resolution from the drop-down list. Pick one of the recommended selections for your monitor. If you want to maintain the new resolution settings, click “Keep changes” when the pop-up appears or “Revert” to discard the changes. You can also change the display orientation by clicking the arrow below “Orientation” to expand the drop-down box. Sometimes if you see the monitor display is flipped horizontally or vertically then you can check the settings here to adjust the orientation. Select one of the preferences and then click “Keep changes” on the pop-up prompt. 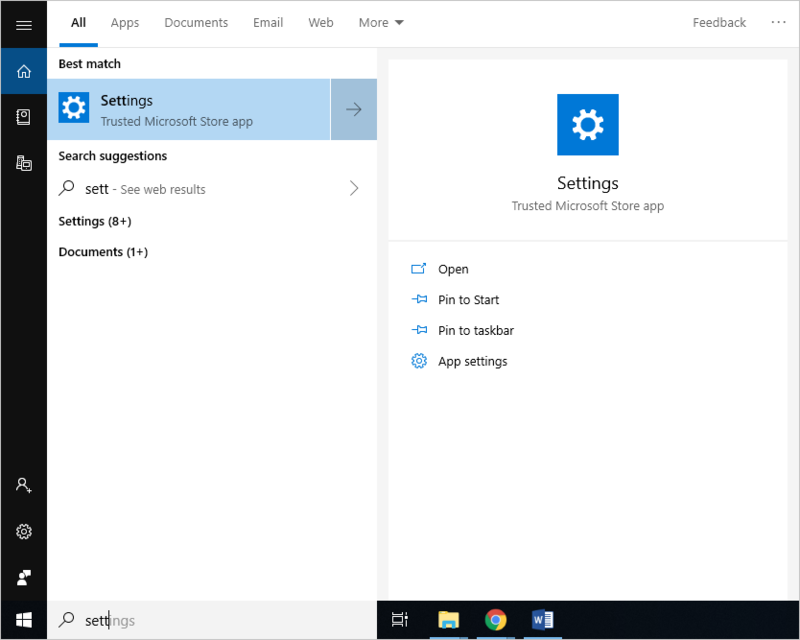 Restart or sign out the Windows 10 profile to implement the changes. 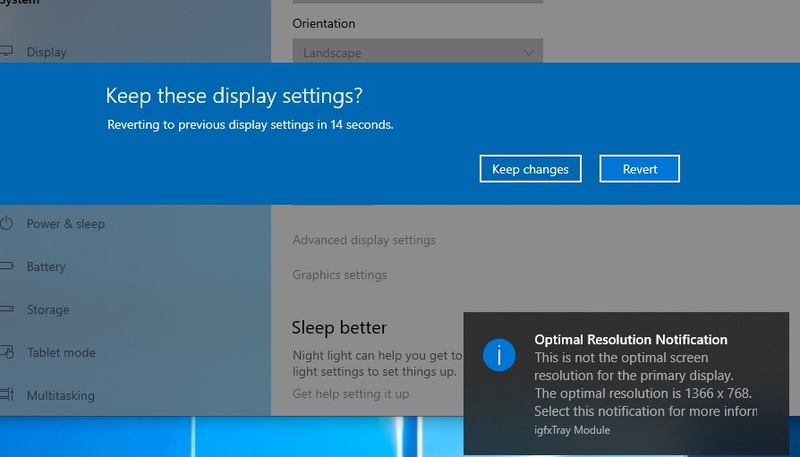 It is important to note that Windows may revert to the previous settings, if your preferred resolution settings are not optimal for your display. Also, you can change resolutions for multiple displays connected to your PC. Color depth refers to the highest number of colors a monitor can display while refresh rate is the time in seconds it takes the display to update its buffer. Follow the below instructions to modify the display “Color depth” and “Refresh rate”. 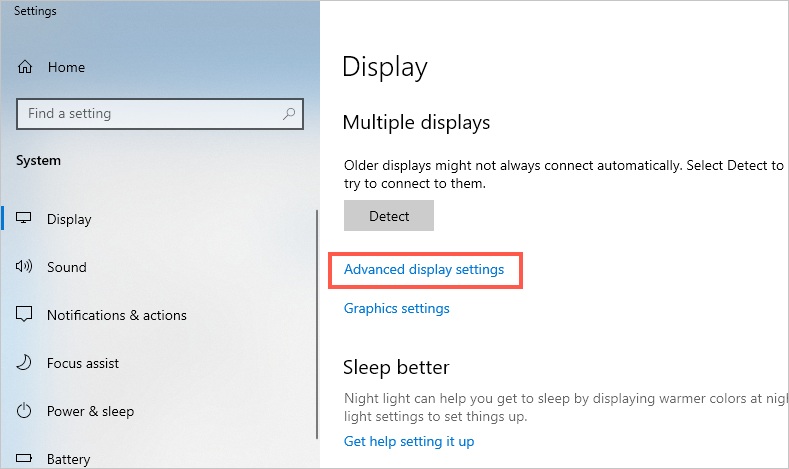 On the “Display” settings page, find and click “Advanced Display Settings” link on the “Multiple display” section. If you have multiple displays, pick a display from the “Choose display” drop-down. Click the “Display adapter properties for Display X”. Here “X” will be a number 1, 2 or 3 depending on the display you have selected. From the resulting cascading window, on the “Adapter” tab, click “List All Modes”. 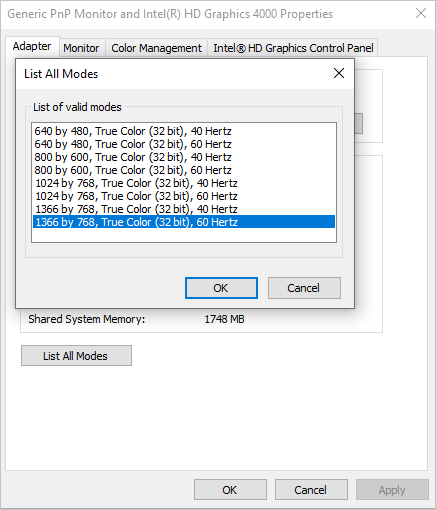 This will show a list with the recommended set of resolution, color depth and refresh rate combination. Select one and click “Ok”. Click “Apply” and then “Ok” to execute the changes and exit the adapter properties window. 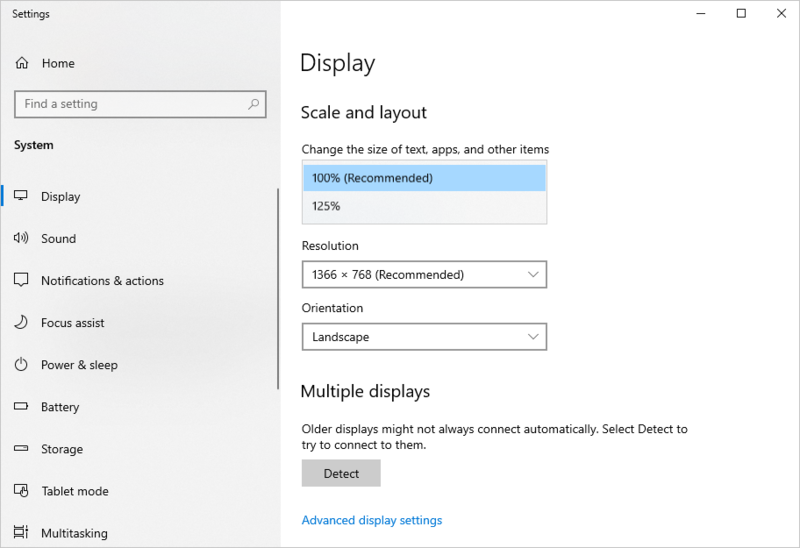 In Windows 10, there are many display properties that you can adjust to ensure that everything looks just the way you want. 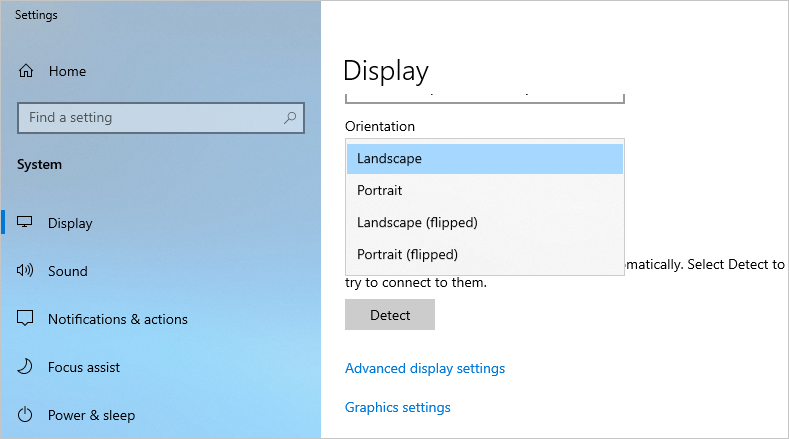 You can play with some of the above alternatives to customize Windows display based on your screen hardware capabilities. However, you should be very careful, especially if you are not sure of the impacts of certain changes as some may compromise performance and battery life.